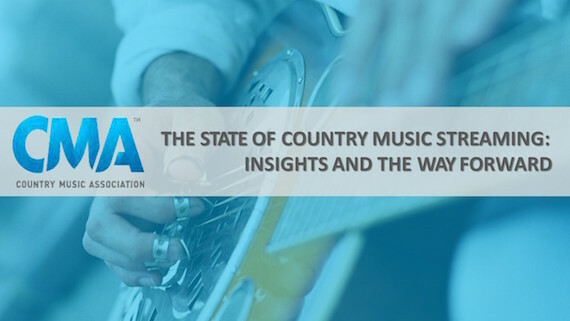 The Country Music Association released new research findings after evaluating how streaming is changing consumers’ relationship to music, including country and other genres. Country music listeners were part of research that included tracking their music streaming behaviors on mobile devices, PCs and laptops, as well as extensive quantitative research describing their attitudes and perceptions about streaming experiences and providers. The findings are based on data collected from 2800 U.S. adults age 18-54, including both those who do and do not use music streaming. The research was conducted between March and June of 2017. Streaming services are under-delivering on surfacing country. There is a need to solve discoverability problems and place more and newer titles and artists on services with as much prominent placement and recommendations as possible. Not only are country music fans less satisfied with service-created playlists for the genre compared to others, they are less satisfied with their ability to discover new country music as well in today’s streaming experience. Nearly half cited having better country music recommendations as the change that would most likely lead them to more country music streaming. This recent study shows that paid users stream much more often than free users – nearly twice as frequently compared to free users. These paid users are streaming country titles more frequently, as well with 22 percent streaming country songs five or more times a day versus 9 percent among free users. Streaming drives overall music industry spending. Country music listeners using paid streaming accounts are more actively listening to country music titles and more actively spending toward music in general. Among streamers that report streaming country titles daily, 69 percent are paid users versus 31 percent free users. Paid service users also showed significantly more spending on other country music media formats compared to free users. A finding that suggests there are key music consumers willing to spend is not a replacement across the spectrum of users. Non-streamers are confused about streaming platforms. Services need to explain the benefits, points of differentiation and how to use these platforms. According to this latest data, consumer confusion may be a key barrier to adoption of streaming among some country music fans. The No. 1 reason cited for not using any streaming services was a lack of understanding about the features and benefits of streaming apps or that they are too hard to use. Educating non-users could go a long way toward driving new user growth. The CMA commissioned the research, which was conducted by Magid Research Associates and LUTH Research.